Margaret Weis Productions is running a 20% Off sale on the Firefly and Leverage RPGs, plus the Cortex Hacker’s Guide print editions at their online shop! Plus, all of the Leverage RPG PDFs are 25% Off over at DriveThruRPG.com! The Fantasy Flight Games 2014 Holiday Sale includes huge deals Warhammer 40K RPGs, Dust Tactics, The Hobbit Card Game, and more on the FFG shop! Onyx Path Publishing has all of the Scion PDFs 25% Off over at DriveThruRPG.com! 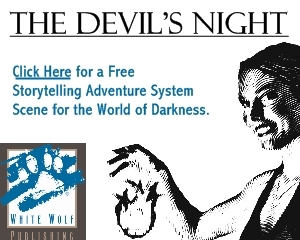 White Wolf has some classic Vampire: the Masquerade PDFs 50% Off, including Dirty Secrets of the Black Hand, Kindred of the Ebony Kingdom, Caine’s Chosen: The Black Hand, and Dark Ages: Under the Black Cross! – Valiant RPG Starter Bundle – Includes the Valiant Universe RPG plus Unity Volume 1: To Kill a King and Harbinger Volume 1: Omega Rising graphic novels. 20% Savings. – Dredd 2000 AD Bundle – Includes the Judge Dredd RPG and Mega-City One Archives: The Justice Department along with the Judge Dredd: Origins graphic novel and the Judge Dredd: Kingdom of the Blind novel. 52% Savings. – Slaine 2000 AD Bundle – Includes the Slaine RPG plus the Slaine: Book of Invasions Volume 1 graphic novel and the Slaine: The Exile novel. 37% Savings. – Adventures in the Known World Bundle – Includes the Artesia: Adventures in the Known World RPG and all three Artesia: The Book of Dooms graphic novels. 51% Savings. Amazon has a number of board games on sale, including Dragon Hordes, the World War Z Board Game, Settlers of Katan, Dragonriders, Gearworld: The Borderlands, and Zombie Mosh!. Also at Amazon is the PlayStation 4 Grand Theft Auto V and The Last of Us Remastered Bundle! Valiant Comics has 6 awesome trade collections including Archer & Armstrong, Bloodshot, X-O Manowar, Eternal Warrior, and more in digital marked down by 60%! All Red Stylo Media digital comics, including Poe Twisted, Unfashioned Creatures, and more are 25% off! You can also save 25% on the entire run (so far) of Aspen Comics’ Fathom: Kiani series! You can save 50% on everything in the Top Cow Productions online store today! Amazon has a ton of awesome deals on graphic novels like Harley Quinn Vol. 1: Hot in the City, Dark Tower: The Fall of Gilead, and Halo: Blood Line! 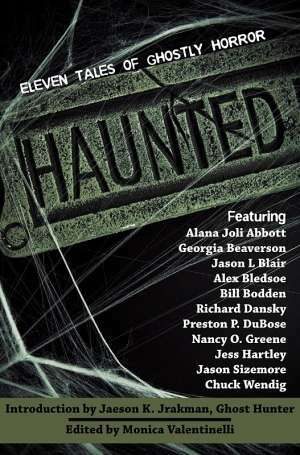 Untreed Reads Publishing has over 400 eBooks, including the hit series Space: 1889 & Beyond and Companions: Fifty Years of Doctor Who Assistants marked down over at DriveThruFiction.com! Amazon.com has a huge variety of Sci-Fi, Horror, and Dark Fantasy titles 20% – 50% Off! Dark Regions Press has a variety of Horror, Fantasy and Science Fiction titles marked down 33% to 66% in the Dark Friday Sale! 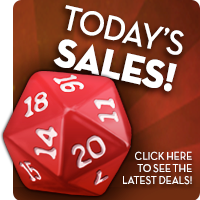 Annual GM’s Day Sale at RPGNow! Twilight Crusade: Gabriel Free Download!